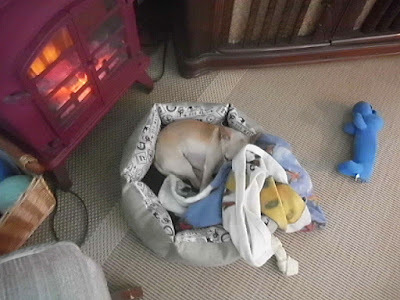 Dear little Lilly in her favorite place... She had a booster shot at the vet this morning and they always marvel at how well she behaves. She is the best little companion ever! 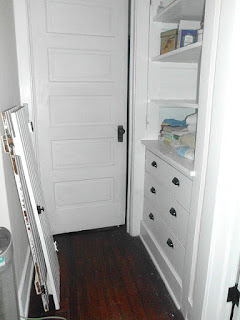 Since I last wrote: I moved last August to an older home and am having fun settling in and planning what rooms to paint; contemplating a sewing room for the 3rd bdrm; had surgery on my right shoulder for torn rotator cuff and could not drive with a sling on for 3 mos. My life is never dull, that's for sure-ha! 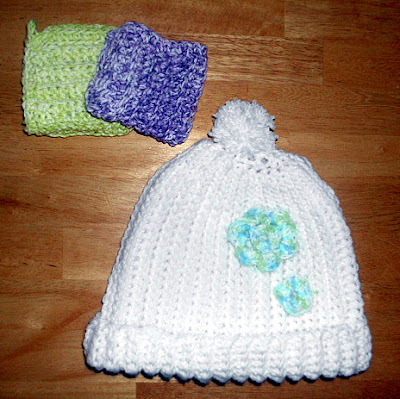 Now able, I have been crocheting and finished a new afghan and made ski hats for everyone-ha! This is such an easy crochet patter and I added the flowers for contrast. 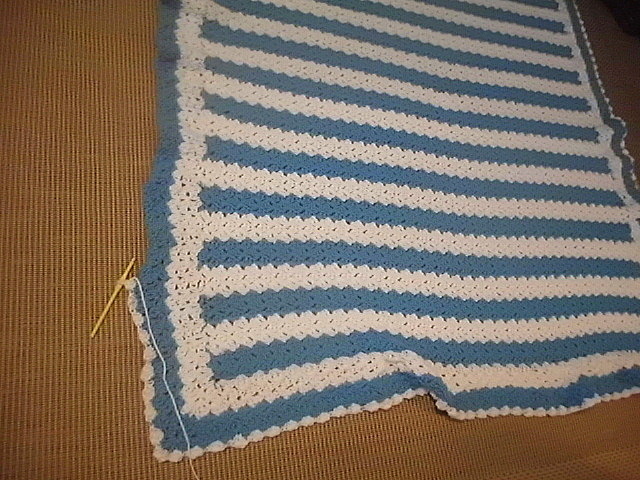 And my crocheted dish cloths are always good therapy for my arthritis. I have a good many and give them as gifts whenever applicable. 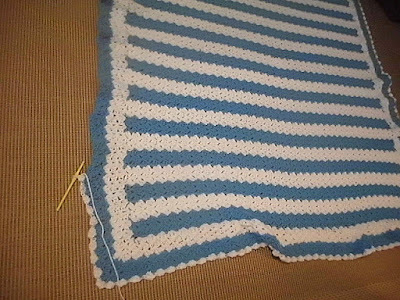 I crochet baby blankets to have on hand, also and always have a baby to snuggle them somewhere in the family and friends-ha! I have started a new Bible Study on Wednesdays and am enjoying that as well as Teacher Subbing whenever BOCES calls. It gives me just enough pocket money to pay for yarn and crafts. 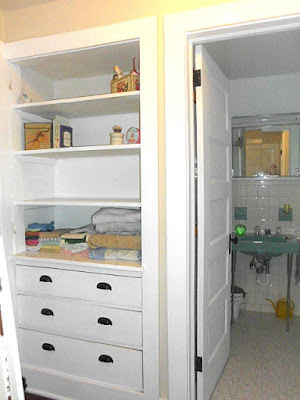 And in my spare time, I am making the house feel like mine with little projects such as removing the doors from an upstairs linen cupboard to use as a bookcase and display shelves. All the towels, etc. fit nicely in the 3 bottom drawers. The older I grow, the faster the days, weeks and months go, also. It is always Friday and Sunday before I know it! I look forward to blogging again and working on crafts and, and........ahaha! Not enough days to complete all of my projects before I leave earth! Thank you for visiting and do come again. Leave a comment as I treasure them so much. Wow....you have had some busy times there. Glad you are getting settled in and looking forward to some fun creating.